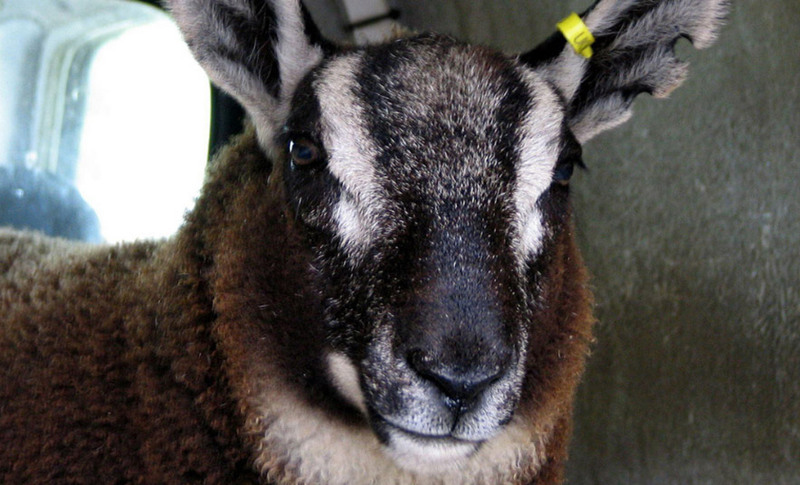 Debunking the Geep: How Many Sheep-Goat Hybrids Are Real? Remember the Irish farmer with a rare sheep-goat hybrid, or geep? Maybe it wasn't a geep at all. It’s rare for a sheep and goat to mate successfully, and most resulting pregnancies are never carried to term. According to Gary Anderson, distinguished professor emeritus at UC Davis, these hybrids are exceedingly uncommon between a male goat and a female sheep (as was the case with Murphy’s geep). Anderson, who spent much of his career studying sheep-goat hybrids and chimeras, is suspicious of most alleged geeps. These rural yarns often bear similar trappings — it starts when a baby sheep or goat is born that doesn’t look quite right. Murphy’s geep, born to a sheep mother, has long, spindly legs and a set of goat-like horns. “I’m not sure whether … that ‘geep’ was just a funny looking sheep,” says Dr. Jill Maddox, an Australian scientist who has performed extensive research on the sheep genome. 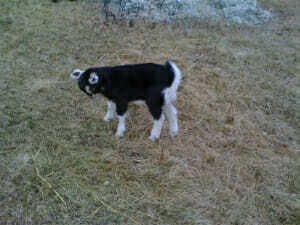 Often these births come from a situation where there were no available male goats or sheep to mate with their own kind. Like a well-worn urban legend, Anderson says randy roaming billy goats or rams are often blamed. In Murphy’s case, he suspects a mountain goat. “The goat that took advantage of our ewe was wild, livin’ in the mountains,” he says, speaking to Modern Farmer from his bar Paddy Murphy’s. Murphy’s geep made international headlines but a smattering of other alleged geep births have also been announced this year. On April 14, a geep was reported at Ticonderoga Farms in Chantilly, Virginia. Also in April, a geep was reported in Zollernalbkreis, Germany. And in Lyle, Minnesota, farmer Sherry Andow claims three recent geep births. Andow says she hasn’t owned a billy goat for nearly two years, so it was shocking when two of her lady goats got pregnant. One had a black baby named Gloria and the other had pure-white twins. Andow noticed peculiarities with these babies — wool-like fur and a high libido with the male twin (anecdotally, this is an oft-observed trait in geeps). Gloria, one of Andow’s geeps. Murphy intends to have geneticists from University College in Dublin come test his geep, but hasn’t gotten around to it yet. Certainly if the tests come up negative, it would be something of a disappointment. Murphy’s business has been booming — he got so many curiosity seekers that he moved the geep down to his pub for easy observation. “We’ve gotten hundreds of visitors, coming all the way out here to see the geep. Most times, they’ll stick around for a beer,” he laughs. Andow hadn’t even considered that her geep could be valuable. When she heard that Murphy has fielded purchase offers, she asked this reporter, “If you run across anybody who wants to buy one, can you let me know?” First, she should probably make sure her geeps are real. 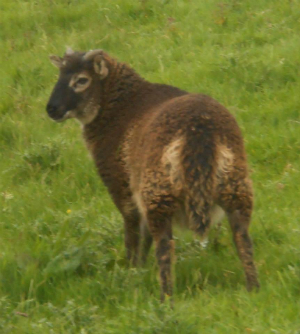 Top Photo credit: Cherry Walsh, photo of an alleged geep born on the isle of Islay in 2005. We just had a stillborn geep. No other explanation. The gestation is between 91-96 days. We do not own a buck, only 2 dairy does, and a flock of Babydoll Sheep. We don’t live where there are any wild animals, that would be breeding our goats. The geep has the gopher ears, but the long sheep tail.